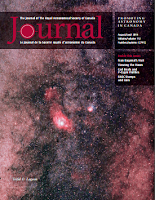 I spotted a post on Facebook noting the release of August edition of the RASC Journal. There is another article on masking in Photoshop, with a goal of reducing noise, which I look forward to reading. 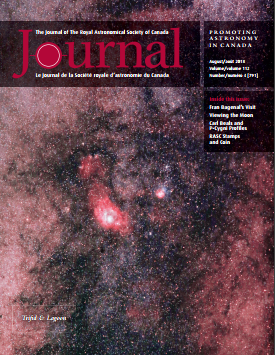 The article on early research at the Dominion Astrophysical Observatory sounds intriguing. My Binary Universe column this month features the Astrospheric weather resource. I refer to the web site as well as the apps for iOS and Android. Lovely sketches and photos as usual. Finally updated my photo for my column. Rhonda approved.